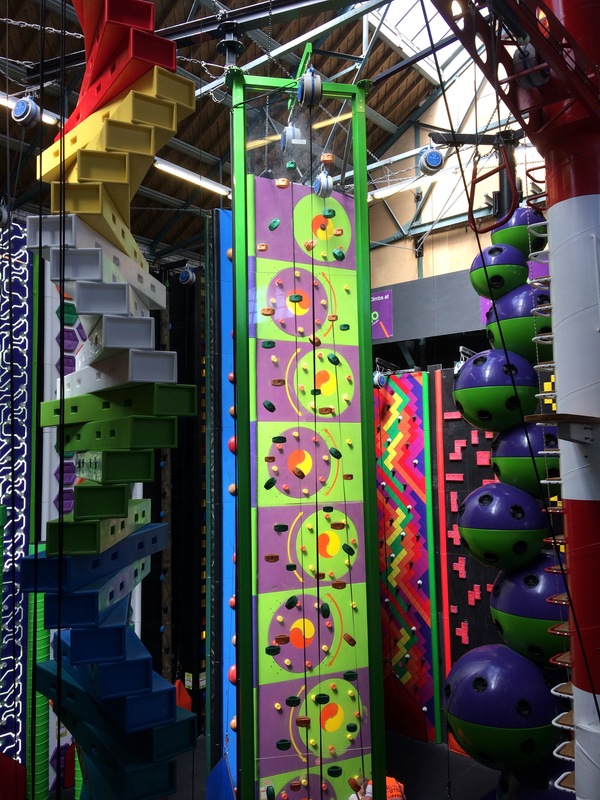 I have been meaning to go to Clip ‘n Climb in Exeter for a very long time, but somehow not quite managed to organise it. 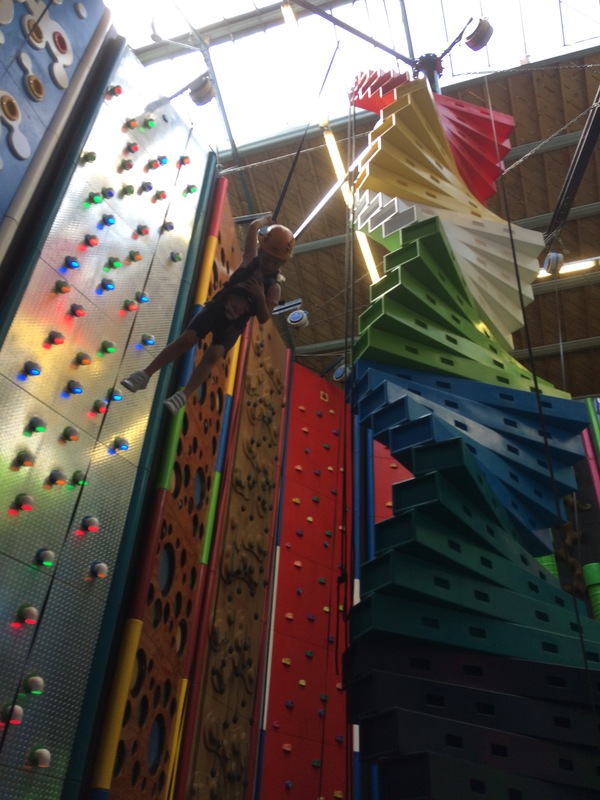 This Fathers’ Day, we decided to make it a family treat and took the older children and cousins to enjoy climbing with the dads of the group. Booking was really simple on line and the FAQs on the website were really useful for planning the trip. Whilst there isn’t dedicated parking for the centre, the pay and display car park behind it was very reasonable and it was a short walk back for our session. The café provided a good spot to sit and wait for the climbers to receive their safety briefing and get kitted out with harnesses and helmets (all supplied). Everyone had a great time climbing and even the more timid in the group really grew in confidence and became determined to try and reach the top of the walls. 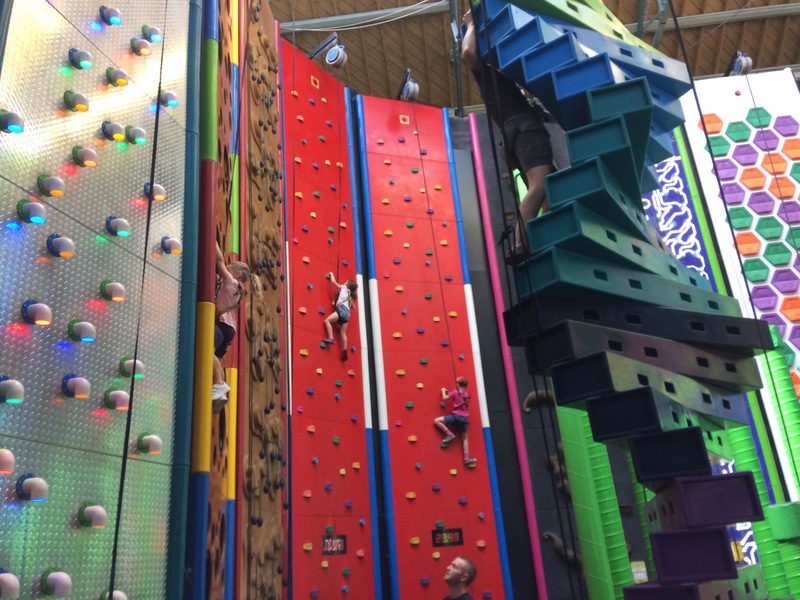 the adults all remarked on how much harder a lot of the walls are to climb than they looked, but there was help on hand from the centre staff when required. 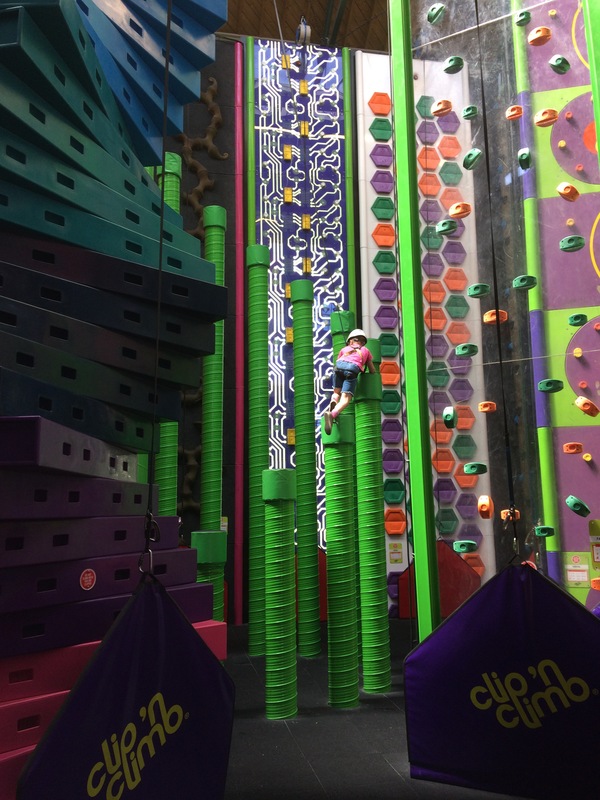 The ‘leap of faith’ is an extra activity that doesn’t need to be precooked (if you’re taking part in a standard session) and you can let each member of the group decide if they want to have a go or not once they’re there and see what’s involved. You just pay an extra £2.50/attempt at the end. This wasn’t a cheap activity (£12.50/person) but it was good value for the amount of time, instruction, help and equipment included, and it was a really fun bonding activity to do as a family. 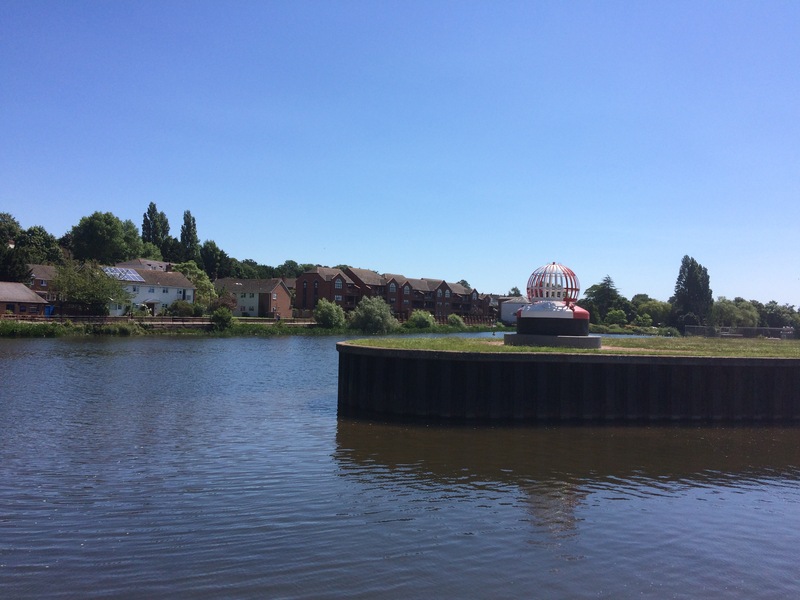 ← DevonDaze Diary – the heatwave!